CHICAGO - Jan. 30, 2017 - PRLog -- World Bicycle Relief is pleased to announce new Board of Director member Paula Restrepo. Ms. Restrepo joins World Bicycle Relief's Board of Directors at a pivotal moment as the organization sets ambitious new goals for accelerated growth in social enterprise business development and philanthropic programs. Ms. Restrepo's significant corporate and philanthropic background coupled with her experience as a Buffalo bicycle customer make her a powerful addition to World Bicycle Relief's Board of Directors. Through her direct experience with World Bicycle Relief's programs in Colombia, Ms. Restrepo brings to the Board of Directors a deep knowledge of World Bicycle Relief's operations. In her former role as Sustainability Director at Postobon, a leading Colombian Food and Beverage conglomerate, Ms. Restrepo worked directly with World Bicycle Relief as a Buffalo bicycle customer. Through a three-year partnership, Postobon delivered 3,000 bicycles to students in Colombia replicating World Bicycle Relief's highly successful BEEP program connecting rural students to distant schools. Ms. Restrepo is uniquely positioned to provide insight and guidance as World Bicycle Relief builds out its strategy to deepen corporate engagement and scale programming. "The addition of Paula to our Board will be highly valuable," said FK Day, Co-Founder and CEO of World Bicycle Relief. "Over the past three years we have worked closely with Paula as her company implemented the BEEP program in Colombia. Her knowledge of and insights into our process, product and programming will provide us with a unique and actionable perspective from a partner's standpoint. In addition to her deep knowledge of our organization, Paula also broadens the scope of our Board of Directors with her extensive global business and cultural leadership background." 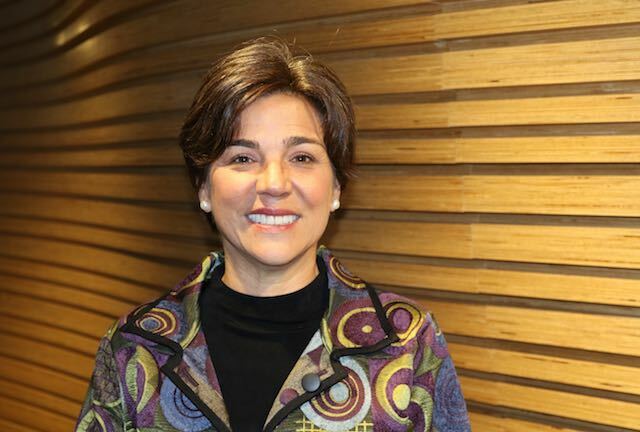 As Sustainability Director at Postobon, Ms. Restrepo directed the corporate brand, reputation management and sustainability that resulted in Postobon continually ranking as one of Colombia's top 20 companies. Before her position at Postobon, Ms. Restrepo was the Corporate Responsibility Director for Empresas Publicas de Medellin, the second largest company in Colombia and the largest utility company in the country. Prior to her role at Empresas Publicas de Medellin, Ms. Restrepo was the Director of the Museum of Modern Art, Medellin, Colombia, and implemented a plan that successfully rebuilt the institution through artist engagement, fundraising, key partnerships with government and the private sector and organizational restructuring. World Bicycle Relief is a global non-profit that designs and distributes high-quality, purpose built bicycles to students, entrepreneurs and health care workers in the developing world. With the increased efficiency and productivity that a bicycle provides, individuals are able to accomplish much more every day. Students stay in school, health care workers visit more patients and entrepreneurs increase profits. World Bicycle Relief is dedicated to helping individuals overcome the barrier of distance through The Power of Bicycles. Founded in 2005, World Bicycle Relief mobilizes people through The Power of Bicycles®. World Bicycle Relief accomplishes its mission by distributing specially designed, high quality bicycles through philanthropic and social enterprise programs. These purpose designed bicycles are built to withstand the challenging terrain and conditions in rural, developing areas. Entrepreneurs use the bicycles to increase productivity and profits. Students attend class more regularly and improve their academic performances. And, health care workers visit more patients in less time, providing better, more consistent care. World Bicycle Relief also promotes local economies and long-term sustainability by assembling bicycles locally and training field mechanics to service the bicycles. To date, World Bicycle Relief has delivered over 330,000 bicycles and trained over 1,200 field mechanics in Africa, Southeast Asia and South America. World Bicycle Relief is a registered nonprofit in the USA, Canada, U.K., Germany and Australia, and has assembly facilities in Kenya, Zambia, Zimbabwe, Malawi and Angola.